We round up some of the best VPNs for watching UK TV abroad so you can watch British TV from overseas. Many VPNs won't work with BBC iPlayer, Sky Go and other popular streaming apps. We'll show you those that do and are fast enough for buffer-free streaming. In this tutorial, we’ll show you how to watch UK TV shows abroad with a VPN, whether you are in France, Spain, Germany, Canada, Australia, the USA, or anywhere else in the world. You can get your fix of British TV including live TV streams and on-demand content. ExpressVPN Our top choice. Super fast servers in the UK make streaming effortless. Unblocks all the major UK streaming sites. First class privacy and security. Includes 30-day money back guarantee. NordVPN Great value choice with plenty of servers in the UK able to unblock most geo-restricted content. Solid security and privacy. CyberGhost Budget provider. Unblocks popular UK shows. Great privacy and security. IPVanish Fast speeds and good privacy features. Doesn’t reliably work with Netflix or iPlayer. There’s no doubt that many UK TV channels have some fantastic content that you just can’t get anywhere else. Whether you’ve moved out of the country permanently or are just traveling, chances are you’ll want to get your fix. Unfortunately, a lot of the content you might be used to seeing in the UK is geo-locked. This means that if the provider detects a non-UK IP address, it won’t allow access to the content. Thankfully, there is a way around this that enables you to freely watch content from sites like BBC iPlayer, ITV Hub (formerly ITV Player), All4 (previously 4OD), Netflix UK, and more. The solution is a Virtual Private Network (VPN), which encrypts all of your traffic and tunnels it through an intermediary server in a location of your choice. A VPN service masks your real IP address and replaces it with one from your chosen country. So by connecting to a UK server, you’ll be able to watch British TV channels as if you’re in the UK, from anywhere in the world. What’s more, with a VPN, you get additional perks like improved privacy and security and access to other geo-restricted sites. Not all providers offer the same service, so it’s important to choose the right one. 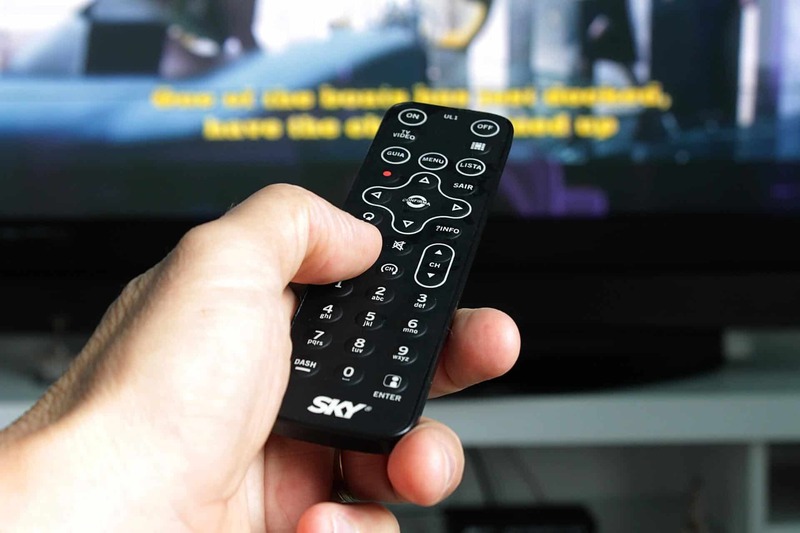 VPNs are an incredibly popular means for millions of people to keep up with their favorite TV shows, however, you should only access content where you have a legal right to do so. Many streaming sites block IP addresses that are known to belong to VPN providers. Just because a network includes servers in the UK doesn’t mean you’re guaranteed access to popular UK content. As such, you’ll need to know that your chosen provider does, in fact, circumvent all restrictions. Aside from streaming capabilities, when looking for the best VPN to watch British channels online, you’ll want to consider things like security, speed, reliability, and level of customer support. We’ve covered access to specific UK streaming sites — BBC iPlayer, ITV Hub, and BT Sport — in separate articles. If you’re looking for the best VPNs to use while in the UK, we have an article for that too. In this piece, we’ll cover which VPNs are best overall for accessing UK content abroad. ExpressVPN is known for its ability to unblock geo-locked content, including popular streaming sites. It has a network of over 1,500 servers in more than 94 countries, including a selection of UK locations. It unblocks Netflix libraries from various countries, including the UK. You’ll also be able to access content from other popular sites like BBC iPlayer, ITV Hub, Sky Go, and BT Sport. Excellent speeds and a reliable connection mean you shouldn’t have to deal with buffering while watching your favorite shows. Another selling point of ExpressVPN is its excellent customer support. Should you run into problems accessing content, you can contact a representative through live chat to get a quick resolution. Security is another strong feature of this provider. It uses 256-bit AES encryption and perfect forward secrecy. A kill switch means you don’t have to worry if the VPN connection is lost and there’s DNS leak protection to boot. ExpressVPN’s clear logging policy tells us that user activity is never monitored and no IP addresses are logged. Apps are available for Windows, MacOS, iOS, Android, Linux, and some wifi routers. Best VPN for UK TV abroad:ExpressVPN is our top choice. A blazing fast and reliable choice which unblocks all major UK TV streaming services including Netflix, Hulu and Amazon Prime. A great selection of UK servers all optimized for speed. Leads the way with great security and privacy features and keeps no logs. Try it risk-free with the 30-day money back guarantee. See our full review of ExpressVPN. Panama-based NordVPN operates a large network of over 3,300 servers, more than 400 of which are located in the UK. This means it’s well-equipped to help you access content from sites like Netflix UK, BBC iPlayer, ITV Hub, Sky Go, All 4, and more. Its fast speeds make it particularly suitable for accessing content through geographically distant servers. NordVPN operates with a strict no-logs policy to help maintain the privacy of its users. For security, you have 256-bit AES encryption, perfect forward secrecy, DNS leak protection, and a kill switch. A bonus with this provider is automatic wifi protection, which means you never have to worry about connecting to an unsecured network while on your travels. A NordVPN plan allows up to five simultaneous connections which is great for families or if you tend to switch devices regularly. BEST BUDGET VPN:NordVPN scores top marks on value. A good budget all-rounder that works well for viewing UK TV while abroad with a good selection of UK servers. Strong security features and handles up to 6 devices used simultaneously from one account. Includes 30-day money back guarantee. See our full review of NordVPN. CyberGhost is based in Romania and continues to expand its network of more than 1,200 servers. CyberGhost puts a lot of effort into ensuring users can access geo-locked content, and with more than 150 servers in the UK, fans of British TV won’t miss out. You can access sites like ITV Hub, All 4, and Eurosport by selecting each channel through the VPN client. Once you’ve made your selection, CyberGhost will automatically connect you to the right server. You won’t see Netflix UK as an option, but you can access the US library (which is more extensive anyway) through a US server. CyberGhost does have the odd issue with BBC iPlayer so if you don’t see it listed, it’s temporarily unavailable. This provider pegs some great speeds, even when connected to geographically distant servers, so you shouldn’t run into issues while streaming. CyberGhost is another secure provider, with strong 256-bit encryption and perfect forward secrecy. Its logging policy clearly states that it doesn’t maintain traffic logs and never keeps connection logs that can be traced to an individual user. Further privacy is provided by a kill switch and DNS leak protection. CyberGhost plans allow for up to five simultaneous connections. BEGINNERS' CHOICE:CyberGhost has a simple set up. A user-friendly service that unblocks a wide range of geo-blocked UK streaming TV and sports content. Big choice of UK servers that are fast and reliable. Good marks with security and privacy. Won’t unblock as many streaming sites as nearest rivals. 45-day money back guarantee. See our full review of CyberGhost. PrivateVPN places a large focus on ensuring users can access geo-locked content. It has a smaller network of servers than others on this list, but it boasts some competitive speeds and is able to deliver otherwise restricted content. PrivateVPN has four servers within the UK, some of which are labeled specifically with the popular streaming services they can unblock. Between these servers, you should be able to gain access to content from Netflix UK, BBC iPlayer, ITV Hub, Sky Go, and BT Sport. This provider doesn’t disappoint on the privacy and security front. A strict zero-logs policy is backed by strong security, including 128- bit or 256-bit encryption and perfect forward secrecy. A kill switch and DNS leak protection help to further keep your information safe. PrivateVPN allows up to five simultaneous connections with a basic plan. GREAT SPEED:PrivateVPN is a good family choice. Reliably unblocks a good selection of UK streaming content. Allows up to 6 devices on the same account – has a small network of servers but fast connections. 30-day money back guarantee. See our full review of PrivateVPN. With more than 1,000 servers in over 60 countries, this US-based provider is popular among torrenters and Kodi users. IPVanish doesn’t usually compete as well on the streaming front as it doesn’t put a large focus on unblocking Netflix. However, it’s UK content you’re after, and in that case, IPVanish can deliver. With five UK servers, it provides access to content including that from BBC iPlayer, ITV Hub, Sky Go, and All 4. There are no traffic or connection logs kept, so you don’t need to worry about your information being disclosed. Security is in the form of 256-bit AES encryption along with perfect forward secrecy. Apps come with a built-in kill switch and DNS leak protection. You can connect up to five devices at a time with a basic plan. UP TO 10 DEVICES:IPVanish has a large network of servers. Unblocks several UK streaming services. Great for families that need multiple simultaneous connections. Works well with Kodi but look elsewhere if you will be using it from China. 7-day money-back guarantee. See our full review of IPVanish. Download and install the VPN app onto your device from the provider’s website or your official app store. Run the app and select a VPN server in the UK. Hit the Connect button to initiate the connection. Once the connection has been established, open the video you want to stream. It should now be unblocked as if you were in the UK. Note that some sites might require you to clear your browser cookies and/or web cache in order to get rid of any prior location identifiers stored on your device. If the video is still blocked, do so and refresh the page. Can I use a free VPN to watch UK TV abroad? When researching various VPN providers, you’ll likely encounter some attractive free offerings. While some of these might be able to get you access to some UK content, free services usually come with some downsides. One of the major problems from a streaming standpoint is that a free VPN service is typically slower and less reliable than a paid one. You’re more likely to endure slow or dropped connections and buffering while trying to watch shows. What’s more, you’ll have access to fewer servers and might have to wait in a queue to connect to the ones you want. Aside from lacking from a practical perspective, free VPN providers often fall short from a privacy and security standpoint too. They usually have to make money somehow and common business models involve collecting and selling user data and displaying ads through the service. Some providers have even been known to carry malware. Once you’re set up with a VPN, watching UK TV is fairly straightforward. You’ll first initiate your VPN connection using a UK server. For example, below we’re connecting to a UK server using NordVPN. You can then access your desired content as usual. For Netflix, you’ll need a paid subscription no matter where you are. The difference is while you’re connected to a UK server, you’ll see the Netflix UK library instead of the one for the country you’re in. Other sites offer content for free but still require you to sign into an account. For sites like BBC iPlayer and ITV Hub, you can just set up an account if you don’t have one already. You may be asked to enter a postal code, so make sure it’s a UK one. 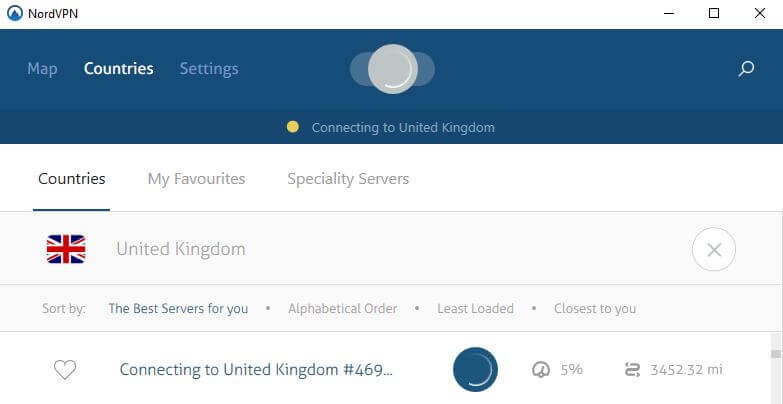 If you’ve tried to access a site before without first connecting to a UK server, you might still have issues. If so, you can try clearing the cache and cookies or switching to a different browser. Note that once you’ve got your VPN subscription, you can use it to access all types of content, not just UK TV. For example, you can connect to a US server to obtain access US Netflix, HBO, Hulu, and more. If you want to watch UK TV channels via a mobile app for Android or iPhone, a VPN can help with that, too. You just need to set up the VPN on whichever device you’re using so that you can mask your IP on that device. All of the plans we’ve talked about above allow for multiple devices to be connected simultaneously, so you’ll have no problem switching at your leisure. While your IP address will be masked by the VPN, depending on your device settings, its GPS could still give away your real location. If you’re having issues, try disabling the GPS in your settings menu. What about the UK TV license? Anyone who watches live TV in the UK needs to be covered by a TV license or could face fines of up to £1000. A UK TV license is required if you’re watching or recording live TV. If you’re accessing on-demand or catch-up TV, a license is not usually required. The exception here is if you’re watching any content on BBC iPlayer, in which case it is stipulated that you should have a license. Before you play a show, a popup will ask you if you have a TV license. Things get a bit a tricky when you’re watching from abroad. For example, unless you live in the UK, you won’t have a license. However, it appears that the TV license check is pretty much based on the honor system and not well enforced. The TV licensing website does address travel to some extent. 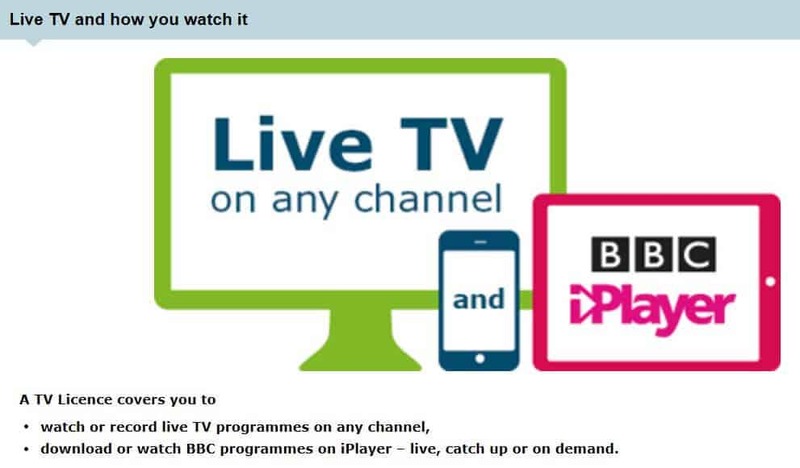 In an answer to an FAQ, it essentially says that if you have a TV license for your address, you’re okay to watch BBC iPlayer on your device while traveling. The exception is if your device is plugged into the electrical mains at another address. This seems like it might be a bit difficult to enforce, but these are rules. When it comes to travel outside the UK, the same section simply states that the iPlayer won’t be accessible from abroad, but you can view shows that you’ve downloaded prior to travel (for a limited period of time). So, it’s not really clear if the licensing laws would apply to persons overseas. While it’s not addressed directly, it seems like you should be okay to watch BBC iPlayer overseas if you have a TV license at your home address and your device is not plugged in. Although to err on the side of caution, you may want to stick to previously downloaded content or shows from other sites. After all, you wouldn’t want to get stuck with a nasty fine. 13 Can I use a free VPN to watch UK TV abroad? 16 What about the UK TV license? 8 Can I use a free VPN to watch UK TV abroad? 11 What about the UK TV license?